Watch us for great coupons savings! It is important to choose cabinets that you like, and generally for antiquing you are going to need to choose white or cream colored cabinets. A good choice for discount kitchen cabinets is Mocha Cream from Kitchen Cabinet Depot, because its warm white tones work very well for antiquing. 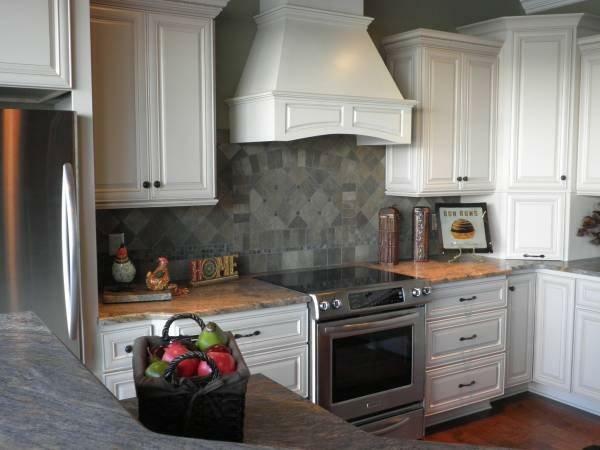 After selecting your cabinets, install them (easy, if they are ready to assemble) or have them installed. Once installed, you can begin to antique them. Apply painters tape or masking tape around the cabinets against the wall to prevent damage to the wall. 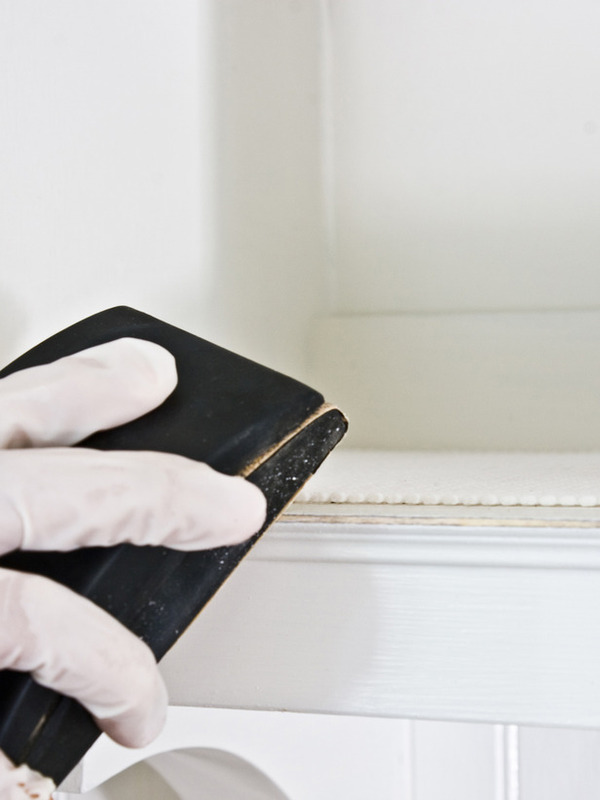 It is important to clean the cabinets to remove free-floating particles and grime. Once cleaned, it is critical that the cabinets are 100% dry before proceeding to the next step. If they are not dry, the cabinets could get damaged and the antiquing would not be as effective. Be sure to only sand the edges of each door and opening, and continue sanding until the natural wood shows through. The sanding materials would be a sanding block wrapped in 80-grit sandpaper. Next you are going to apply the antiquing glaze, which can be found at major home improvement stores. Remember to put on latex or rubber gloves to protect your hands. Using a clean rag, apply a very small amount of the antiquing glaze to the front or side of a cabinet in small and circular motions until you have applied a thin layer to the entire section. Working a section at a time, lightly smooth out the circular marks, while gently wiping in an up-and-down motion until the desired effect is created. Then you will apply a dark edge to your cabinet by adding more antiquing glaze to the distressed parts of the cabinets and doors. Apply the glaze liberally in this step as you are going to remove it next. After wrapping a clean smooth rag around your pointer finger, carefully wipe off any excess that has gathered outside of your desired distressing spots. You have finished distressing your first cabinet! Continue distressing the remaining cabinets, one cabinet at a time. Be sure to step back and check the overall effect every once in a while to ensure consistency. Let the glaze dry at least 24 hours before spraying on a light coat of a clear, non-yellowing sealer to ensure a long-lasting finish. Be sure it is a non-yellowing sealant – avoid regular polyurethane, which, when applied over white paint, will turn yellow. 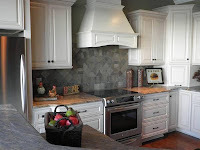 For more information about kitchen cabinets, visit us at KitchenCabinetDepot. kitchen cabinets is more than simply a place to prepare meals; it is the essence of your home and an investment in your lifestyle. Whether you are looking to create a bold and punchy contrast or an understated look to coordinate with your surroundings, our team at Kitchen Essence ensure that the result reflects the character of the owner and the home. New Cabinets - What Color should you choose?